Olivia's Garden is a project that Derek immediately thinks of when people ask why he decided to pursue the career path he has. Olivia was born with a rare genetic disease which caused her to have severe physical and mental disabilities. Olivia is restricted to a wheel chair and requires constant care. She wasn't expected to live past the age of two, but due to her resiliency and the undaunting love of her mother, Catherine, she is now a teenager. 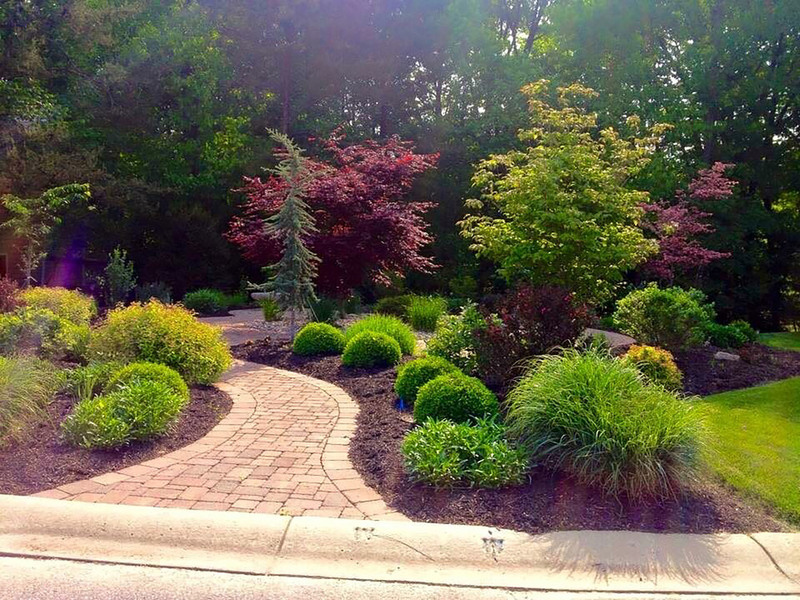 Derek worked with Jim, Catherine's husband, to design a public tribute garden next to their family home. Jim wanted nothing more than to show his wife and step-daughter how much he loved and respected them. Jim informed me that Olivia, although bed-ridden, loved to look out her window and see butterflies dancing through the air. He wanted the space to be a tribute to the women in his life specifically, but also wanted the space to be a public retreat for anyone to reflect. The design incorporates a flow that allows one to circumnavigate the space as a casual passerby, or sit upon the custom engraved limestone benches with Olivia's and Catherine's names and listen to the bubbling water of the self contained water feature. The butterfly garden is situated on the hillside visible from Olivia's bedroom window. Derek says that he still stops into Olivia's Garden to see how everything has transformed. "On one of these visits I found Olivia in the garden laughing as the butterflies flew around her head. That day was one of the most powerful and memorable experiences I've ever had in my line of work."